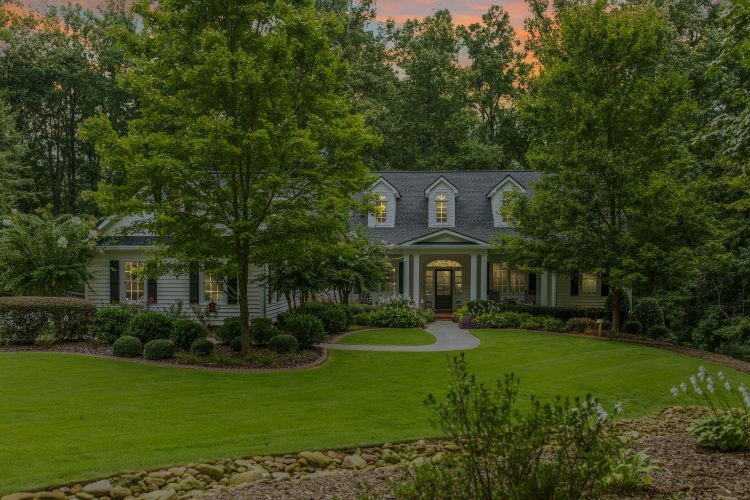 Southern classic RANCH nestled among 7.85 acres of meticulous native landscaping! Enchanting home offers two fireplaces and delightful keeping room. Unfinished basement allows for room to expand. Mill Creek meanders across rear corner of property! 5 car garage (2 attached, 3 detached including tall boat door). Sought-after Creekview HS!